We know it’s early, but you may want to start thinking about hurricane season, which is just a little more than two months away. And one thing to consider is whether this is the year you’re going to buy a generator. Generators are sometimes the fastest way to bring back power after a storm. Their cost upfront is less than standby power, and they are easy to store in your garage. The initial fee for a portable generator is between $500 and $2,000 depending on the wattage. A portable generator consists of an internal combustion engine, alternator, starter, fuel tank and outlets. Portable generators can be moved from place to place and are not permanently installed. However, they must be manually started which means that you need to be home during the power outage, and they need to be placed outside in order to avoid carbon monoxide poisoning. These generators are easy to start, powerful, reliable and durable. You will have to put up with some exhaust fumes, heat and noise that they produce. Don’t expect to use the power it produces for luxuries, but rather use it for essentials. 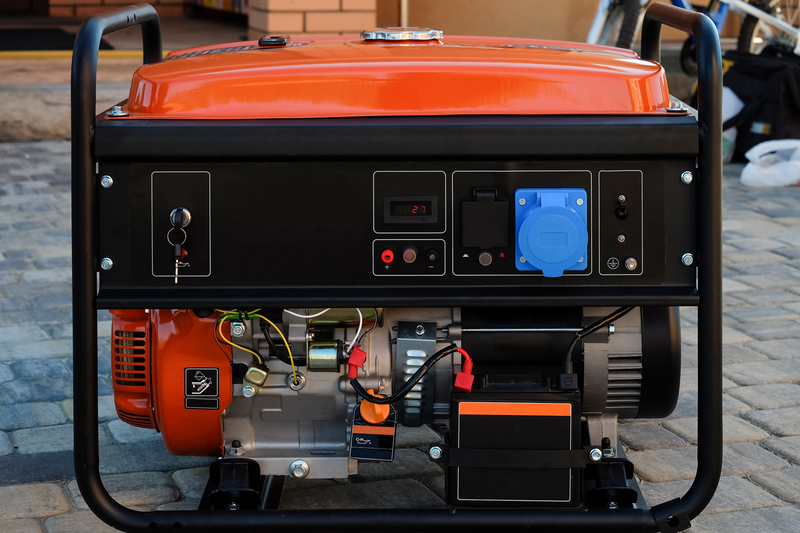 If you are looking for something that is cost-effective and low maintenance, a portable generator is a great way to go. In addition, it won’t take up space in your yard. However, it can be heavy and will not power the entire home. A standby generator, while expensive, will power the whole house. Additionally, it turns on and off automatically and increases the resale value of a home. To learn more about traditional generators, check out our article from last July about how to hook up a generator. Your electricity bill may seem unpredictable at times. 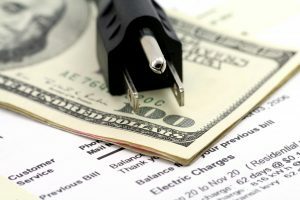 However, there are many factors that influence the price of electricity. Check out these factors below. Cost of Fuel– Electricity operates on fuel. It needs to be generated and delivered. Fuel prices change which in turn changes electricity prices. Supply and Demand– Supply of energy sources like coal, nuclear, gas and oil can change on an hourly basis and contribute to price fluctuations. The demand for heating, cooling and light is directly influenced by the technological and economic measures. Warmer places tend to use less natural gas oil for heating and more electricity for air conditioning. Weather– While this seems obvious, the weather impacts short-term prices. During extreme weather, your system works harder than usual. However, it won’t affect long-term prices as heavily. Electricity prices tend to be higher during the summer months as more people use their air conditioning. Regulations– Government regulations vary from state to state. Some implement controlled prices while others are uncontrolled. Federal and state regulations also impact supply and demand. Type of Consumer– Industrial consumers tend to pay less than commercial and residential consumers because they are supplied a larger amount of electricity at one time. It takes more effort to get power to consumers that use less energy, therefore more money. Location– Where you live in reference to an energy source naturally influences the price of your energy. Power plant availability and local fuel costs vary in different locations. In addition, climates within different locations vary which can drive up or lower your electricity bill. An occasional light flicker in your home is normal, but if you’ve noticed flickering that didn’t occur before, and is happening regularly, you need to check into it thoroughly and contact an electrician. 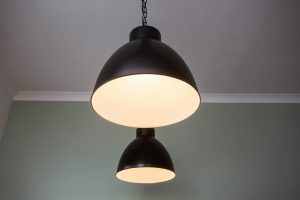 The constant light flickering can eventually signal problems in the wiring or light fixtures in your home and depending on the cause of the problem, it could lead to serious safety issues. It can also be caused by a connection failure at the main panel, outdoor meter socket or even at the utility point of service. All lights actually flicker to some extent. This can be annoying and can be a distraction. The blinking of lights is based on the amount of power that is coming into the lines in your home, it is caused when the power provided to a light source changes or when the power line voltage itself fluctuates. The usual flickering that we can find in our homes can include problems with bulbs; either if they’re not tight enough or it’s not the right type of bulb. For example, fluorescent lights have a tendency to flicker occasionally, and it shouldn’t be a worry. On the other hand, LED bulbs are the most common cause of flickering due to its dimmer switches. These dimmers sometimes do not do well with lower-voltage LEDs. Other light flickering can occur with only one lamp. This happens when there are loose light plugs which means that there is a loose connection between the plug and the outlet. Try unplugging and plugging it back in because most of the time it is loose and not properly connected. Many problems with light switches are usually drawn to some issue that is interrupting the flow of electricity from the wall switch to the light fixture. 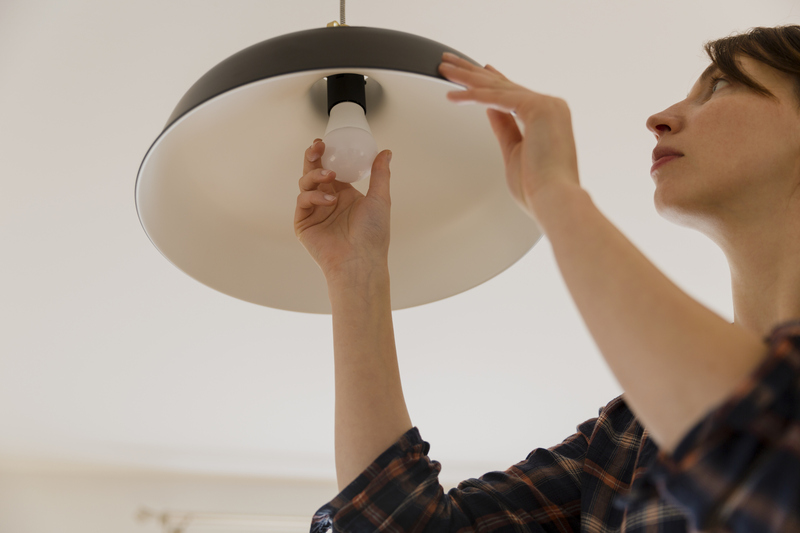 If your light is already flickering try adjusting the switch on or off and see if it fixes the problem. In other occasions, your lights are blinking or dim when your AC or washing machine is running. This problem may occur due to an overloaded circuit, which means that these appliances are pulling more electrical current than the circuit can handle. If the flickering happens consistently and becomes a severe issue, there is a problem. Whether you’re concerned about serious issues, or just annoyed by these random flickers, call an electrician ASAP because these are high capacity wires and could result in a fire hazard. It is important to make sure that the LED or compact fluorescent lamps you buy are dimmable, and the dimmers you choose are compatible with your lamp types. This information is always listed on the packaging and usually on the lamps or dimmers themselves. This is a complicated and serious safety issue. If you have any concerns, please don’t hesitate to contact us. We will be glad to help. When it comes to installing and repairing certain electrical systems or features, everyone wants lower energy costs. These costs can certainly impact your family budget. Here are some tips to help you save money, reduce the impact to the environment and increase efficiency. Lighting used to be a common cause of undesirable heat, but nowadays with LED lighting, there’s no need to sit in the dark. LED lighting lasts up to 25 times longer than incandescent bulbs and uses even less energy compact fluorescent bulbs (CFLs). Replacing your incandescent and fluorescent bulbs with LED lights can compact the amount of power your house consumes. You should consider upgrading to the latest thermostats. These can be controlled from anywhere with your smartphone, making it easy for you to control your house temperature when you’re away from home. Smart thermostats let you easily regulate heating and cooling settings from your smartphone or tablet and can automatically optimize settings based on your location. If you have air-conditioning in your home it helps to also use fans to cool your home; if you’re using a ceiling fan, it will allow you to raise the thermostat by 4° and your home will feel as comfortable as before, but you’ll be saving money. New switches and power strips can also help lower your electricity costs with a button or app, or through a timer. Some power strips, for example, shut off power to what’s plugged into it either with a flip of a switch or after a certain period of time. An alternative to this is to unplug your appliances from the wall when you’re not using them. If you have windows without window coverings, they’re going to let a lot of heat in. You should consider window coverings in order to reduce this heat. Keeping the shades or blinds drawn on sun-facing windows is crucial to keeping your home cool. To increase your energy savings, select window treatments that are energy efficient. One last tip, don’t forget to schedule regular maintenance for your heating, ventilation and air conditioning system (HVAC). When you maintain your heating and cooling system properly, you’re not only increasing energy and savings, but you’re extending the lifespan of your heating and cooling equipment! An HVAC tune up can save on energy costs. Your HVAC technician will clean the system and perform preventive maintenance in order to ensure everything is running smoothly. For us in Florida, most of the year is spent blasting the air conditioning to stay cool. But during those few short months of the year we’re in now when we do get cold, it is certainly something we’re not used to – unlike our northern friends. And for many of us the temptation is there to use a space heater instead of the heat cycle on your air conditioner. With the little bit of chill we’ve experience of late, that temptation is rising. With a space heater, we can efficiently heat individual rooms quickly and not impact the rest of our home. 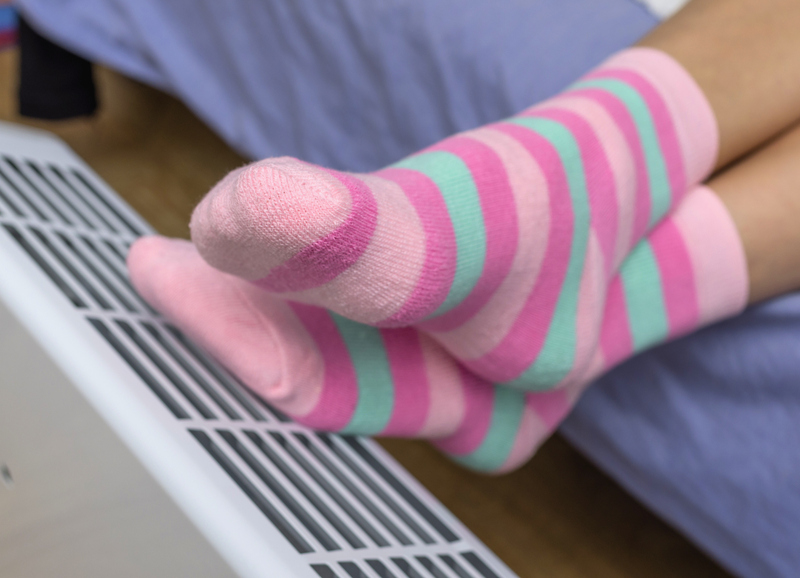 Instead of heating the entire household, using a space heater can provide the convenience of heating whatever room(s) you want at a much lower cost. For example, a 1500-watt space heater operating four hours a day for 30 days would use about 180 kilowatt hours of electricity. It would cost about $11 to operate the space heater for the month. Always check that the space heater, plug and cord are clean and in good condition before use. Keep space heaters out of high traffic areas and away from any combustible liquids or flammable items. Place space heaters on a level, hard, nonflammable surface and never in enclosed areas like below a desk. Never leave a space heater operating while unattended, even if you are sleeping. Do not use an extension cord or power strip with your space heater, and never run the heater’s cords underneath a rug or carpet. Make sure the space heater doesn’t overload your circuit breaker by ensuring that the amps are compatible. A typical circuit is on a 15-amp breaker, so a single heater that draws 12-15 amps might trip the circuit. It was about a month ago that we fell back – turning our clocks back one hour. For many of us that means getting up and going to work in daylight – something that may not have been happening only days before. But it may also mean that at the end of your work day, you’re leaving your place of business in the dark. 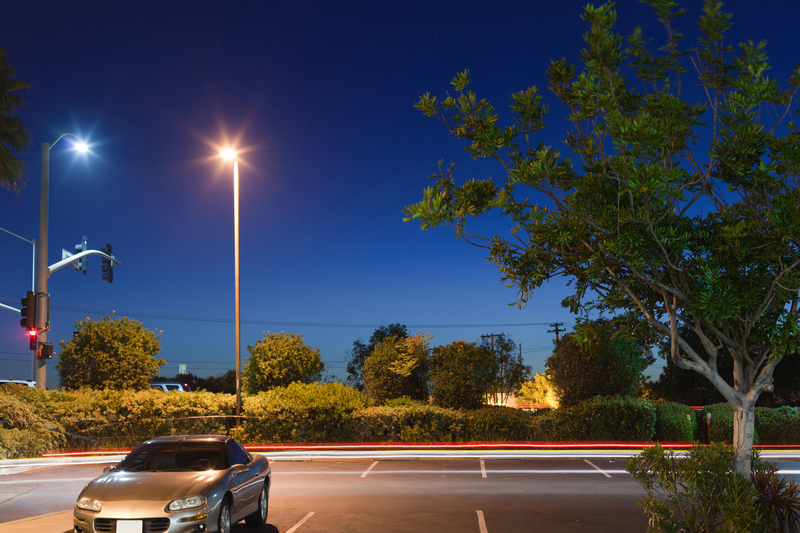 There are many reasons for having good lighting in the evening when you or your employees are headed to the parking lot in the dark – not the least of which is safety. If you’re an employer, you certainly want your staff to feel safe coming and going from your place of business. The time change serves as a great reminder to think about your business outdoor security lighting. If your office outdoor lighting is controlled by an on/off switch in your office, it may be time to think about an upgrade to an automatic system. This could be as simple as a timer that you adjust manually on a seasonal basis. And there are more advanced options that can allow you to set the outdoor lighting based on how light or dark it is. You can set your outdoor security light so it’s on only when you want it to be, and the brightness can even be adjusted to be brighter when someone steps in front of it. The same controls will keep the lights off during daylight. If you’re not sure what your exterior lights can do, we will be happy to examine them and upgrade your system if needed. Thanksgiving has just passed. That means it is time for many of us to decorate our homes for the holidays. This decoration often includes colorful lighting and that means electricity. So that means safety needs to be considered. Holiday lighting must always be placed with caution and care. That starts with old lighting. If you’re using lights from previous years, you need to check the strands for cracked cords, frayed ends or loose connections. And if you’re using new lights, inspect them carefully as well. Even though they are new, there may be problems with them. So as we do here every year, we are offering some lighting tips to help make sure you have a safe holiday season. They can cut through the wire insulation and create a fire hazard. Instead use outdoor-approved hangers. 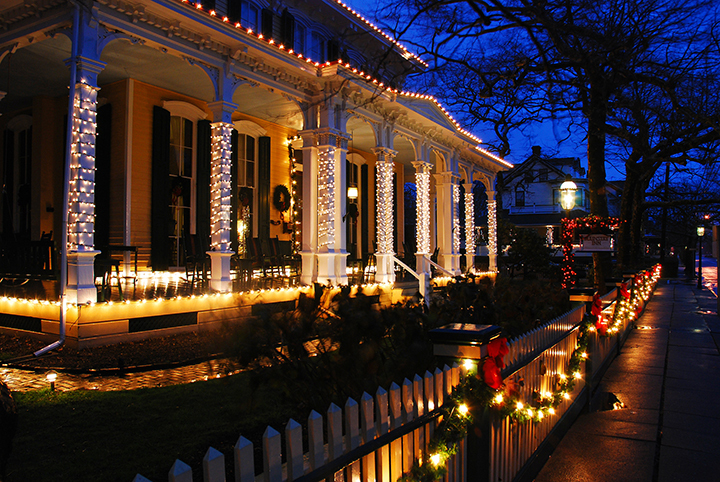 As always, if you have any concerns with your holiday lights, call us at Eaton Electric. We will be glad to help. As a result of the ways that we use electricity and our reliance on these devices, our homes are filled with potential dangers for our children. A great number of people are injured or even killed as a consequence of electricity each year. 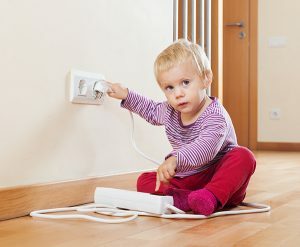 Therefore, it is important for parents with children in their households to address these issues especially since the majority of small children are naturally curious when it comes to electrical outlets, but they don’t always know how dangerous electricity can be. Many new homes come equipped with tamper-resistant outlets. That’s the safest way to keep your inquisitive children from exploring outlets. If you home does not already have tamper-resistant outlets, a qualified electrician can install them. While appliances and electricity are essential for our home and lifestyle, there are fundamental things that parents should know in order to avoid any accidents and protect their children against high-risk hazards. First and foremost, it is important that parents make sure that no electrical outlets are left uncovered. Young children are intrigued by outlets, and they’re tempted to stick their fingers, or even a fork inside. So, parents should cover the electrical outlets around their home and inspect the house carefully to avoid risk of electrical shock. Another way to reduce the danger of electrical shock is to store appliances out of reach, this can be inside high storage cabinets or hidden away on a shelf. It is the responsibility of the parent to teach their children how to properly plug and unplug cords from the power outlets. By all means, this should be done preferably once the child is of a suitable age. Children also need to be taught about electrical safety, this can include teaching them not to put any toys or objects inside the power outlets. In addition to this, just as parents educate their children about not touching hot surfaces, or the importance of wearing a seatbelt when traveling in a car, it is just as important to teach them the appropriate safety around electricity and how dangerous it can potentially be. Children should not learn themselves by experimenting with the outlets. Playing in the Gainesville Community Band is one of my passions. I’ve been doing it for seven years. We perform a number of times throughout the year. This is absolutely one of my favorites because of our audience and the meaning behind this concert. James King and his wife, Joy, were members of the Gainesville Community Band for 26 years. He passed away in 2006. As native of Charleston, S.C., he enlisted in the Army where he performed on troop ships crossing the Atlantic during WWII. In 1946, he joined the Marine Band, where he served as principal clarinet and assistant conductor until his retirement in 1968. For me, it is an honor and a distinct privilege to be part of this concert, as it is our small way of honoring our veterans. This year’s concert is Sunday, Nov. 11 at 4 p.m. at the First Presbyterian Church, 300 SW Second Ave. And for two additional reasons, this year’s concert is very special. First, since Veteran’s Day falls on a Sunday this year, we will be performing on the actual day. 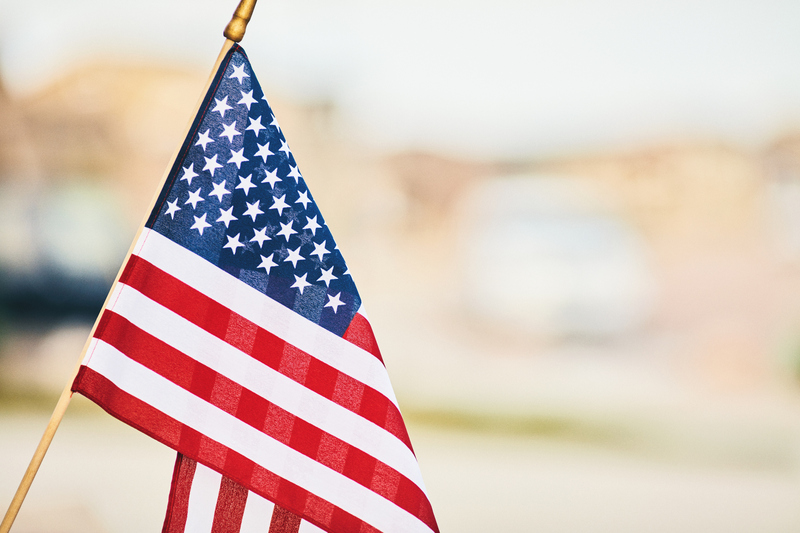 And this Veteran’s Day marks the 100th anniversary of the ending of World War I – the day the armistice was signed. The holiday season is approaching fast and many of you are already planning to purchase lights to make your home more festive. The winter holiday season is often one of the most costly times of the year, and it is important to consider how you can reduce your monthly power bill by taking into consideration different ways you can reduce energy usage around the holiday season. Luckily, there are many ways in which you can easily minimize the impact that your lights will have on your holiday budget. Firstly, the most important tip to follow in order to see a significant reduction in your monthly bill is to switch your traditional incandescent lights to LED lights. However, you may see a slight difference in pricing when it comes to upgrading to LED. This is because they are much cheaper to run and will last up to 10 times longer. They’ll save you a lot of money in the long-run and will use about 70-80 percent less energy than the traditional bulbs. 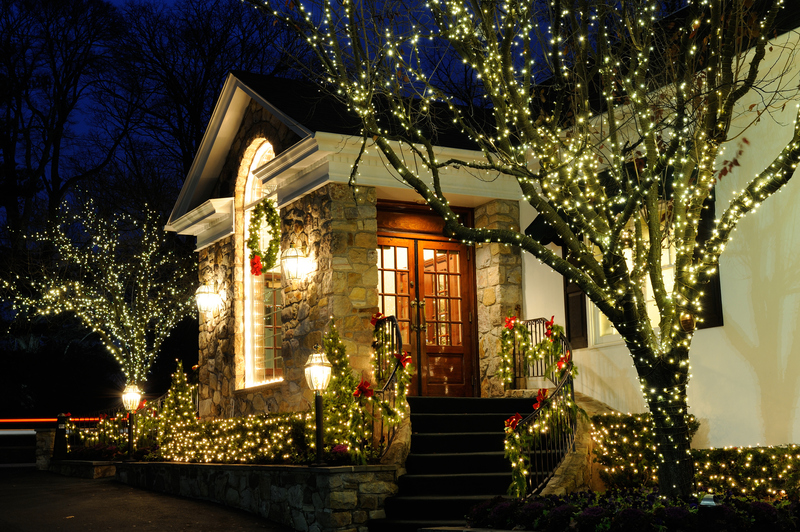 Another thing to remember when purchasing holiday lighting decor, is to keep in mind that you should only use designated outdoor lighting that is labeled for exterior use. You should check the box to guarantee that they are approved for outdoors. Decorating your house with lighting that is not made to endure bad weather can be highly dangerous and can result in a fire hazard. A great way to have a fantastic holiday decoration without spending too much on electricity is to set timers for your lights. 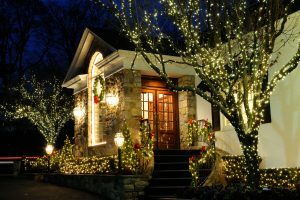 There are not a lot of people out and about in your neighborhood at around 2:00 a.m., so it is a good idea to connect your stringing lights to some type of timer that will allow your lights to turn off and on at a certain point. There are many different sorts of timers ranging from simple to old-fashioned to smart home-integrated timers which you can control directly from your smartphone. By placing your lights on a timer, you can program them to turn on at around 5 p.m. and automatically turn off at 10 or 11 p.m. This will save you a significant amount of electricity usage. Lastly, remember to be mindful and stay safe while decorating your home. You should check all your lights to make sure there are no broken wires or lights that generate too much heat. When we get closer to the holiday season, look back and recall these tips that will help you stay festive and energy efficient this upcoming holiday!